Hotel Motif South City 1 features rooms designed with supreme style and class. Premium property Edition O 30027 Motif South City 1 is located at K 190, South City-I, Sector 41, Gurgaon. 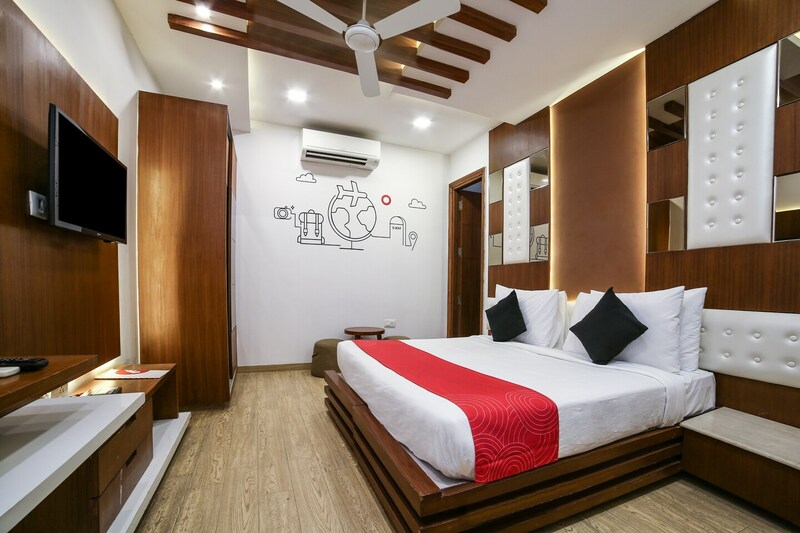 The rooms are brilliantly designed with attention being paid to minute details that define comfort including walls, ceiling, lighting and the colors used for them all etc. The walls have earthy sketches and a large window for undisturbed views of the nature. Rooms also have a private and lavish balcony for private time. The list of amenities that the hotel offers include Free Wifi, Kitchen, AC, Power backup, TV, Card Payment, Conference Room, Wheelchair Accessible, CCTV Cameras, and Dining Area. A number of restaurants including Taste Of Punjab, The Been Factory, Shugaa, Don't Worry Eat Curry, and Cafe Rouge - Ramada are located quite close to the hotel.